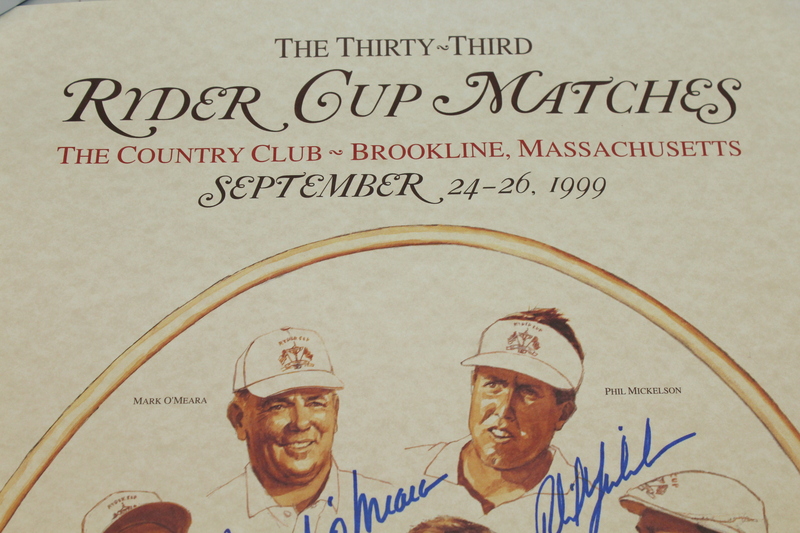 The 1999 Ryder Cup at The Country Club - Brookline is far and away the most famous Ryder Cup natch of the recent era. 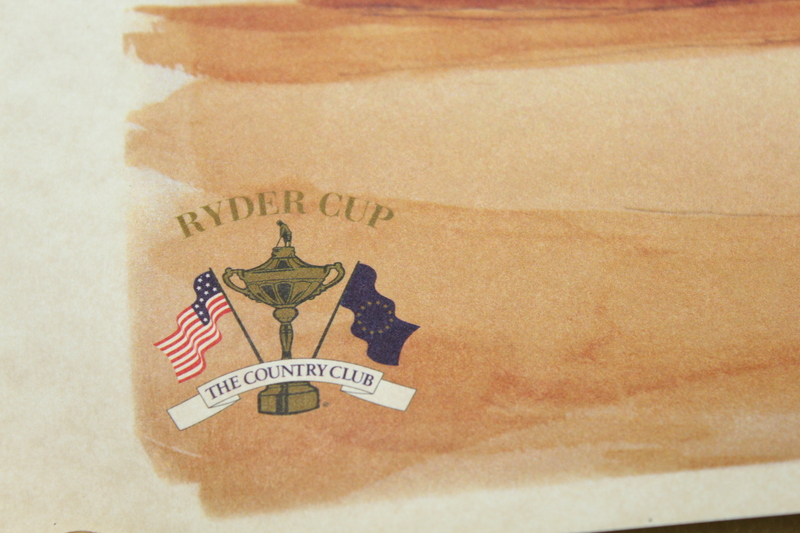 Justin Leonard drained a 45 foot putt to win the Ryder Cup for the Americans, overcoming the seemingly insurmountable deficit that the Europeans had worked so hard to achieve. 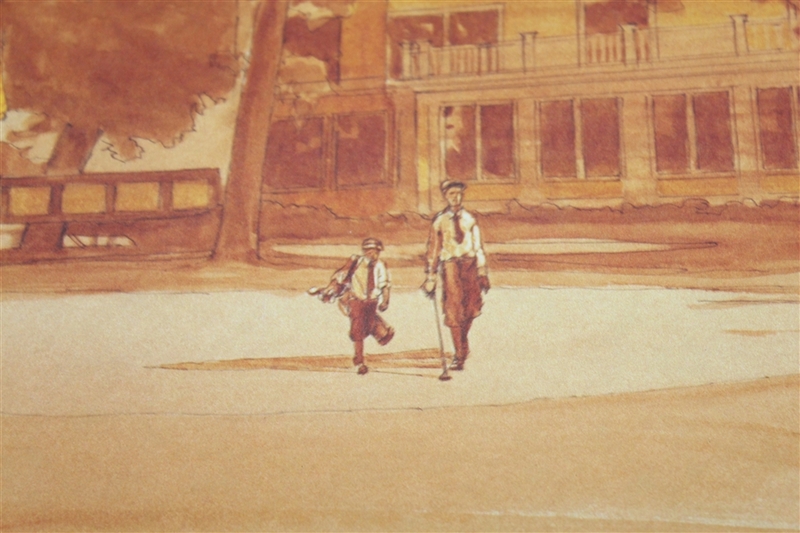 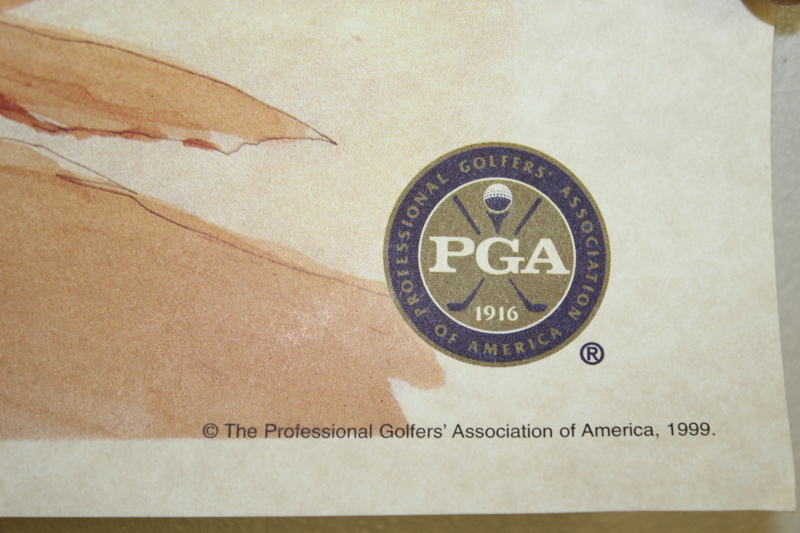 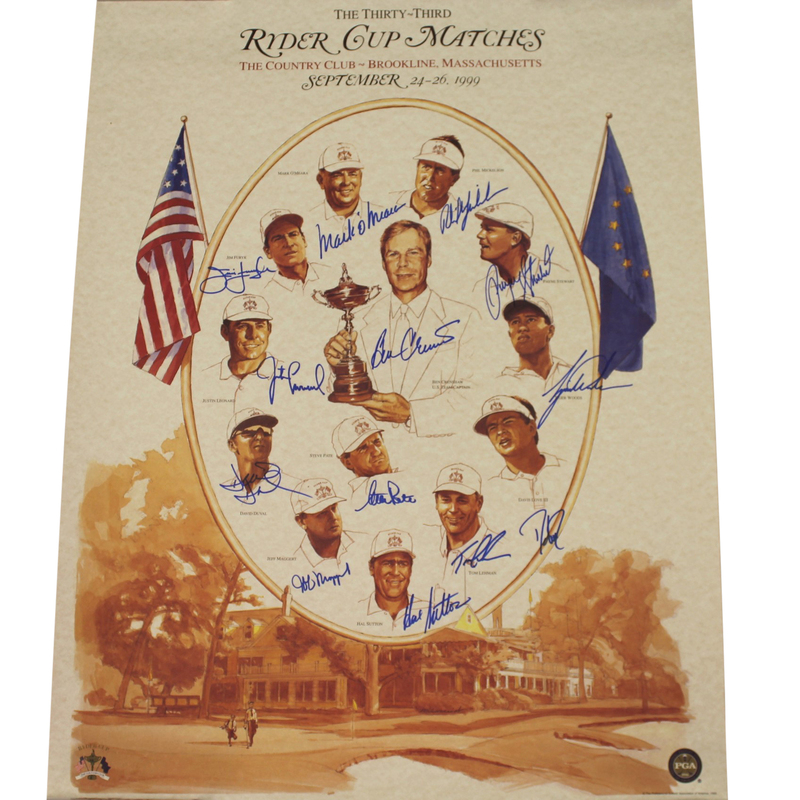 This poster stands out from all the others as this is one of the actual posters presented to the players at the 1999 Ryder Cup. 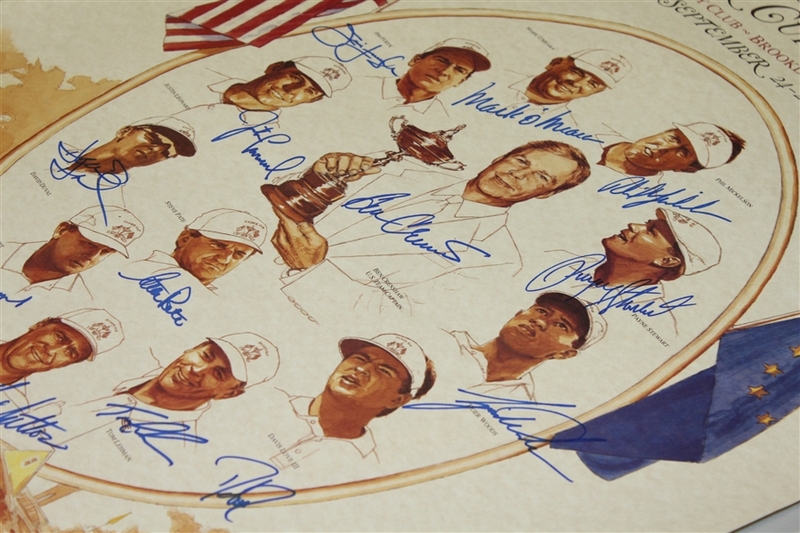 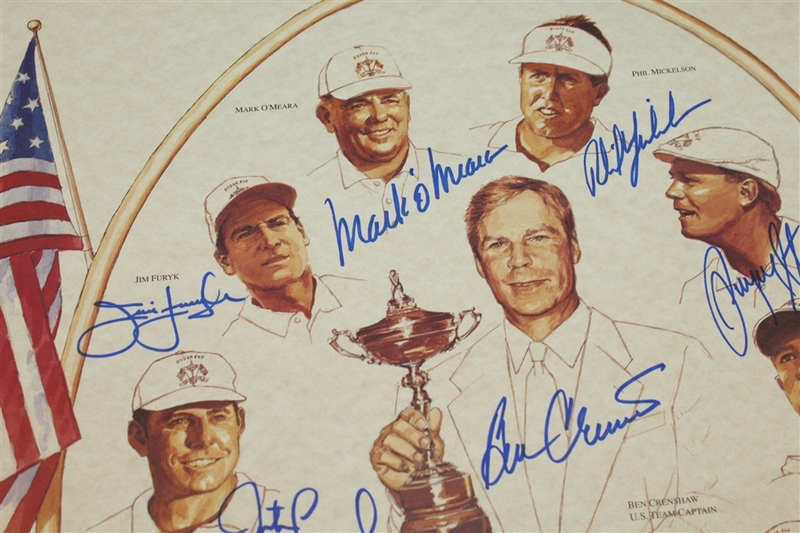 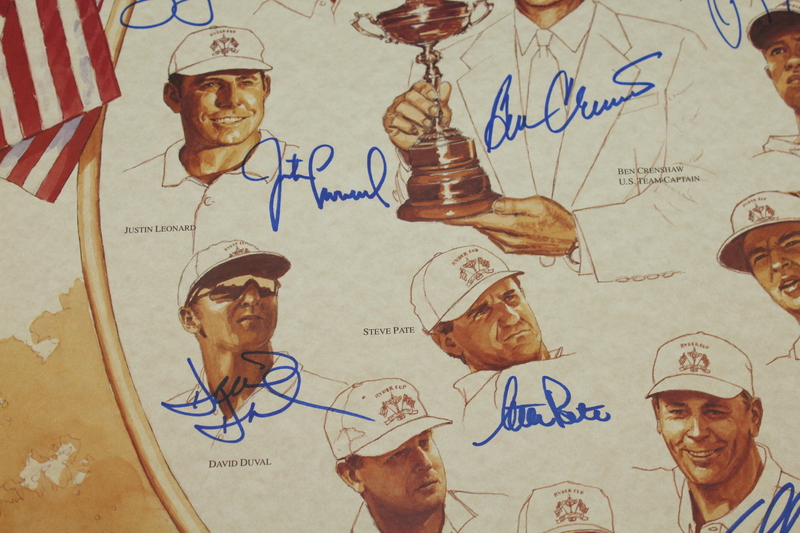 The entire United States team has signed in blue sharpie this seldom seen poster, including Payne Stewart (who passed away just a few weeks later), Tiger Woods, Captain Ben Crenshaw and the hero of the day Justin Leonard. 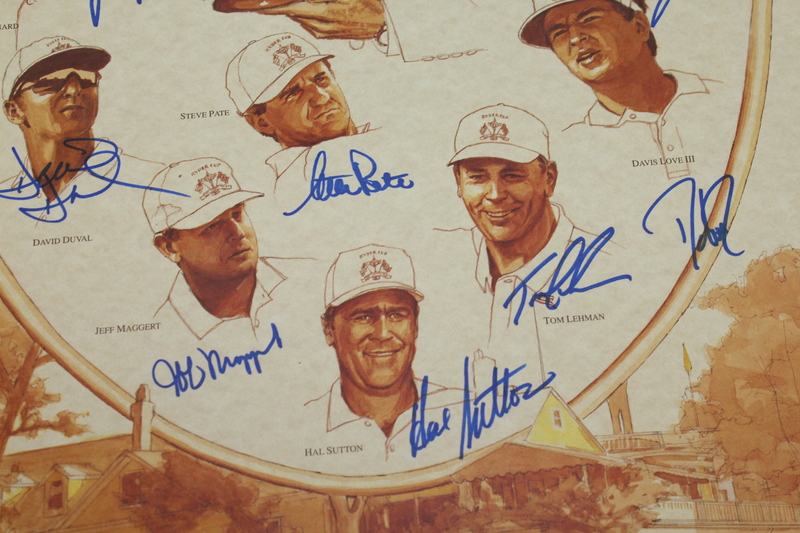 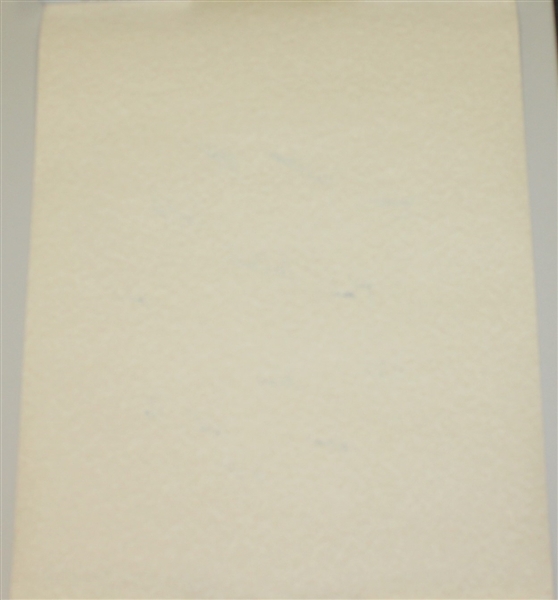 The poster measures 24 1/2" x 32 1/2", and comes crease free in a strong near mint condition. 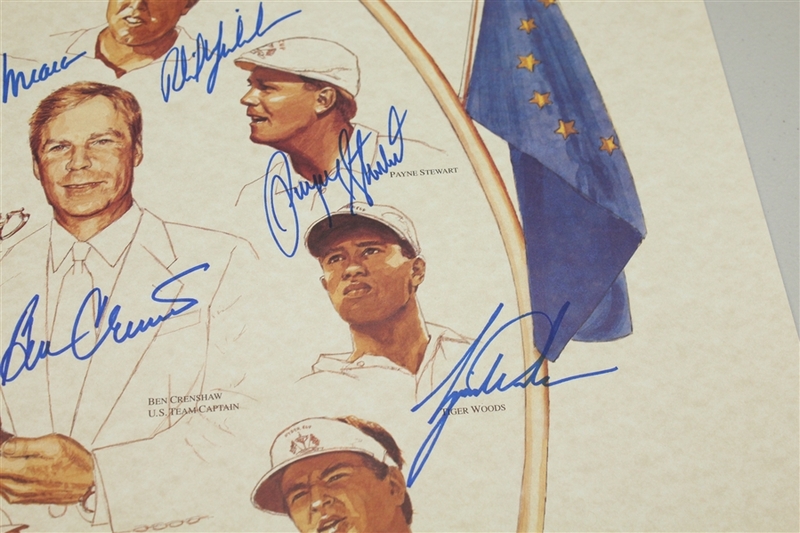 James Spence Authentication (JSA) has reviewed each of the signatures on this item, and their FULL letter of authenticity will come with this lot.